Buying a home is one of the most important purchases you’ll ever make, so you’ll want to make sure you’ve done your homework. Spend some of those cold winter days when you’re chased in-doors to gather the documents you’ll need to apply for a loan. Even if it’s just organizing digital documents on your computer, make sure you have bank statements, W-2s, tax returns and documents of your renting history. You’ll also want to order a credit report from one of the three major credit bureaus (Equifax, Experian and TransUnion) to make sure it syncs up with your records and that there’s no unexpected surprises. It's also important to remember that lenders will be reviewing your debt to income ratio when you apply for financing. Before you start searching in earnest, do research and have conversations to identify what you’re looking for in your future home. What neighborhood or neighborhoods do you want to live in? If you know, take a drive to get a sense of the area, how to get around and the relative distance from different areas to shopping and entertainment centers. You’ll also want to get a sense of how different areas will affect your commute to work, and what public transportation options might be available. With home buying, it can also be important to identify what you don’t want. For example, what are ‘deal-breakers’ in any potential home? What are your ‘must have’s’ and what are you willing to look past for your perfect home. Along with narrowing down your neighborhood and your ‘dream home wish list,’ you’ll also want to winnow down your price range before you start shopping. You can start at home by using an online mortgage calculator to determine your price range and what kind of loan is right for you. To get the best information, you’ll want to talk to a loan expert to get a broad understanding of all your financing options. He or she can help explain all your options, as well as help explore homebuyer assistance programs that might be offered at the state or local level. You’ll want to interview several real estate agents to find someone that feels like a good fit. They should be knowledgeable about the local markets where you want to buy and serve as a valuable guide in fast-moving markets. Inventory in the market is tight. 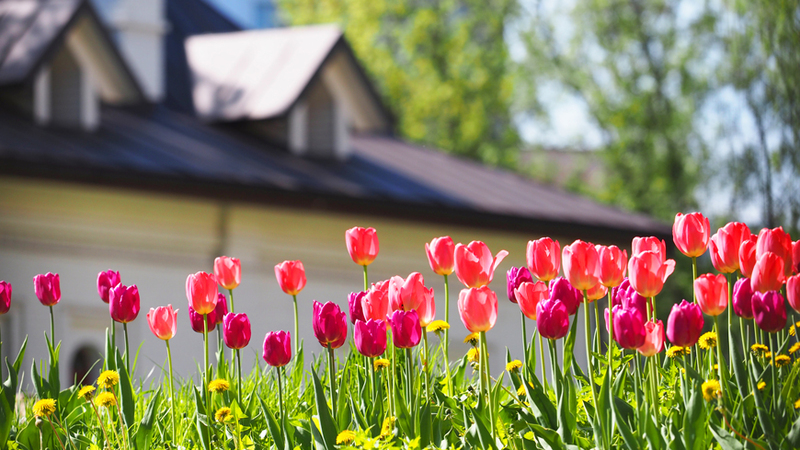 Once the spring season heats up, so will the competition for the best properties. When you do find that perfect home, having a pre-approval letter from a reputable lender shows buyers that you mean business and can help an offer stand out. With Guaranteed Rate Affinity's industry-leading tech and automated underwriting, homebuyers can complete the Digital Mortgage and receive a pre-approval letter to help make a compelling offer on their dream home.